On-sites are completed, but some repairs need to be made. Off-sites paving and ancillary items need to be completed. Total cost to complete is budgeted at just under 900K. Cash bonds available at the City of Buckeye and Maricopa County to cover roughly 500K of the required work to complete. Property lies in a newly delineated floodplain, however, 33 of the 39 building pads are out of the floodplain. 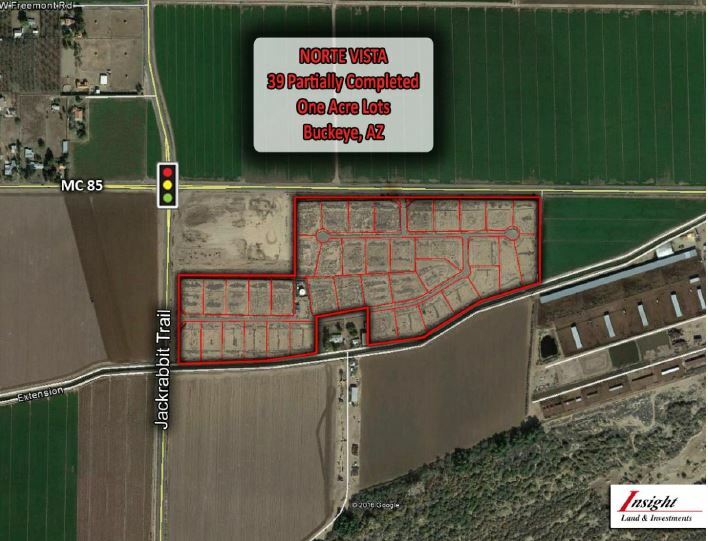 Zero competition in immediate area for finished one-acre lot product.